TV Recall: 4 NEW Comic Book TV Shows Coming This Fall! Welcome to News Recall… a new feature on Movie Recall in which I’ve done extensive “research” throughout the Internet and compiled entertainment news from the week that interests me the most. This week, I’m going outside the area I accidentally pigeonholed myself into by naming site “Movie Recall” and will be covering some television news… So, this week is a double feature: TV Recall and News Recall… or TV News Recall, I guess. Anyway, several new “geeky” shows were announced this week (and last). Several of which are based on comic books. To jump to the four new shows, click here. First bit of news is that ABC’s Marvel: Agents of S.H.I.E.L.D. was renewed. A lot of people didn’t like this show earlier in the season and doubted it would be renewed for some reason. However, I started enjoying it more when I stopped looking at it as a comic book show (or something similar to the Marvel superhero movies) and started looking at it as some sort of supernatural spy show. THEN, toward the end of the season things really started to pick up and viewers began to realize that there were seeds of the big reveal planted throughout the season. So, I’m looking forward to what’s to come next year. The WB’s Arrow was also renewed and will be getting a spin-off show (see The Flash below). The show was ok the first season, but the second season was really a lot of fun. Sure there are some silly moments, but still a very enjoyable show. So, I’m glad this show is returning too! Next, a trailer for Star Wars: Rebels was released. Since I enjoyed the Clone Wars show, I’m really interested in this one! To see this trailer, check out my prior post, covering all things Star Wars. Four new shows are coming out based off of comic books, or other comic-book-related media: Agent Carter, The Flash, Gotham, and Constantine. 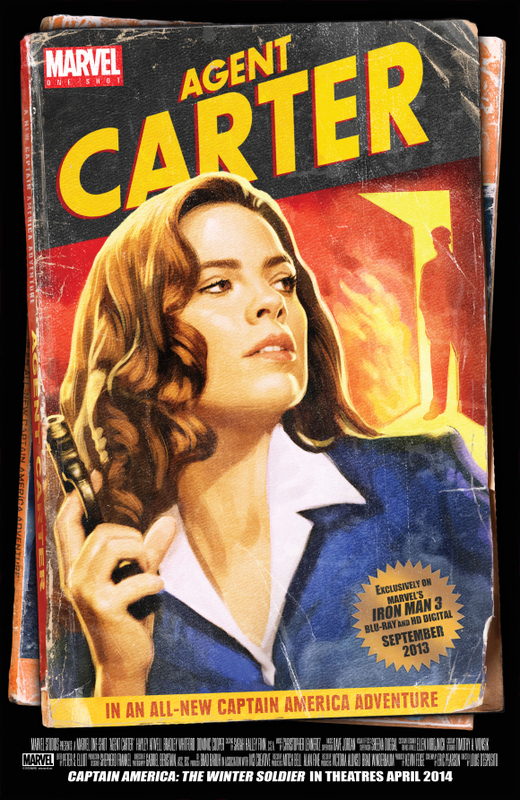 Agent Carter is based on a character that has appeared in Marvel comics and in Marvel’s Captain America: The First Avenger, as well as in the Marvel: One Shot (short film) that appeared on the Iron Man Three blu ray. The ABC show will be similar to the short, as it will be about Agent Peggy Carter’s life in the 1940s, post-World War II, in which she is dealing with the loss of Steve Rogers/Captain America and becomes the founder of S.H.I.E.L.D. Here is a clip of that short film, which I believe is what the show will be similar to. DC’s The Flash is a spinoff the WB network’s Arrow (and is created by the same creators as Arrow). 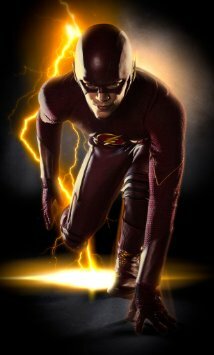 The show is about Barry Allen*, who was struck by a lightening bolt while Central City’s particle accelerator exploded shortly after it was being turned on. As a result, Barry finds that he now has super speed. He also finds out that the explosion caused others to develop powers of their own, but not all of them use these powers for good. So, now Barry is determined to use his newfound powers to bring these “meta-humans” to justice. *Note: Barry Allen appeared on a few episodes of Arrow, but I don’t believe it will necessary for people to have seen that show to understand The Flash. Although I enjoyed The Flash TV show that was on in 1990s, it doesn’t hold up and seems a little cheesy today. However, this new Flash looks pretty good… just check out the teaser trailer and the 5-minute promo trailer below. On FOX next season, a new show about the city where the Batman/Dark Knight movies took place… Gotham. The show is about Commissioner Gordon (back when he was Detective Gordon) in a city before there was a Batman. I believe it will deal with the rise of criminals who will eventually become Batman’s known enemies, such as the Riddler, the Penguin, Catwoman, etc. It will also deal with a young Bruce Wayne and how he deals with the loss of his parents before he becomes the caped crusader… Basically, it sounds like the Batman version of Smallville. That’s not necessarily a bad thing, but I was (am?) hoping for something a little better. Plus, from the trailer, it looks like Bruce Wayne is just a little kid while all his archenemies are much older. That’s a pretty big age gap that I’m not sure I’ll like. However, it is possible that after the death of Bruce Wayne’s parents, the show will jump forward in time to when Bruce is a little older (and maybe is away at boarding school??). Even if that is not the case, if the show continues to center on Detective Gordan and not Bruce Wayne, it may prove to be an interesting show and differentiate it self (and not just be a Batman version of Smallville). Regardless, the trailers look good and have me a little intrigued… so I’m there for at least the first episode. See for yourself…. 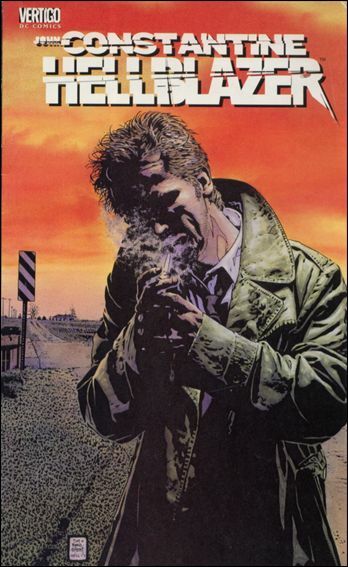 One of the new shows that really looks good to me is NBC’s Constantine, which some people may not realize is based on a comic book (Hellblazer). Some people may know the name better by that Keanu Reeves movie from a couple of years ago. However, there were some differences between the comic book and the movie. Most notably, the character was changed from a blonde man with an English accent to black-haired man with a California (surfer?) accident. Having never read the comic book (despite hearing that it’s really good), the change didn’t bother me and I enjoyed the movie. I thought the world was really interesting… and dark… and I wanted to see more of it. However, a lot of people hated it… mostly fans who were upset about the changes made in the movie. So, that’s where that franchise seemed to die… or so it was thought. 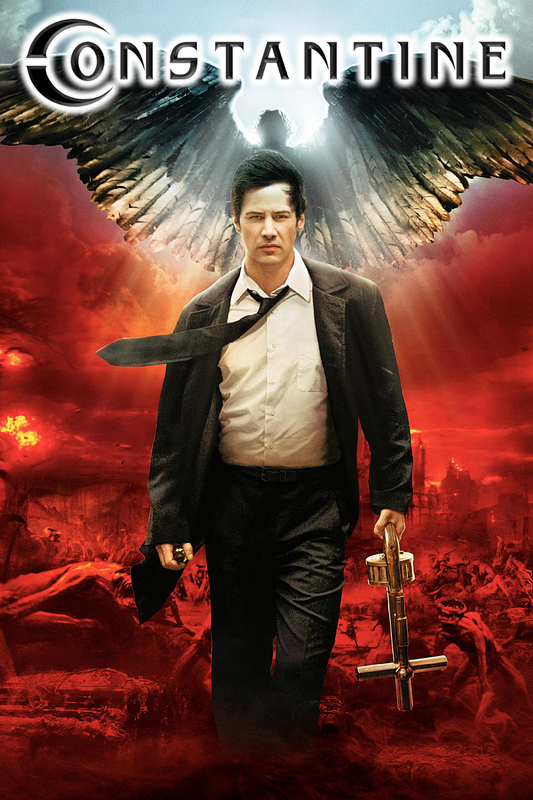 Now… the story of Constantine is back! This time the character more closely resembles that of the comic books (even if the show will take place in the United States… from what I hear). The TV show looks just as dark as the movie and the special effects look even better. I was worried that Constantine would be just another X-Files or Supernatural (both shows I really like, but it’s been done), but it looks to be a little darker and with its own style. PLUS, it will be on NBC, and anyone who has seen Hannibal on that network knows that NBC doesn’t seem to be afraid of airing some really dark subject matter lately! Just watching the trailer for Constantine has me excited for the show. (I mean its my two favorite things joined together; horror and comic books.) Check it out for yourself and let me know what you think. So what do you think about these shows? Are you excited for any/all of them? Which do you think will be the best? Which do you think will end up canceled? Let me know in the comments section below. This entry was posted in News Recall and tagged Agent Carter, Agents of S.H.I.E.L.D., Agents of Shield, Arrow, Comic book shows, Constantine, Gotham, News Recall, Star Wars Rebels, The Flash, TV Recall by timothyheinz. Bookmark the permalink. Wow. 6 comic book TV shows happening at once. It’s hard to wrap your head around it. Have the networks gone too far and made too many shows based on the same topic? Will people have time to watch all of them? I think some will outshine the others. I think people like how Agents of Shield connects to the Marvel movies so that will continue to be strong. I’m not sure how Constantine will do. It seems to be the most unknown. But who knows it could surprise me. Yeah, it’s getting close to being an over-saturation of comic book shows/movies. However, “Agent Carter” is currently scheduled to only be 8 episodes and will air during the “Agents of S.H.I.E.L.D.” time slot while that show is on it’s winter break. So, that may get people to stick around and check out a show taking place in the 1940s. As for “Constantine,” it’s definately going to have to work harder to earn an audience than the other shows (since it’s probably less known). So, it will all come down to how good/interesting that show really is and a good time slot to air that show. So, we’ll see.